Showcasing the beauty of the Arabian Gulf and located on the pristine beachfront, this stunning resort offers private beach fun for all the family and array of leisure options to suit young and old. Dubai is renowned for world-class shopping, and golf, all under a sun that shines continuously. It's a great place for family fun or romantic relaxation. Le Royal Méridien Beach Resort and Spa enhances this with a range of fantastic services and facilities, a kids' club and pool area, fitness centre and the rejuvenating Caracalla Spa, and three temperature-controlled swimming pools. Combined with a choice of 504 rooms and suites and an array of exceptional dining venues, Le Royal Méridien delivers an exceptional experience for those seeking an experience of a lifetime. The Le Meridien Mina Seyahi Beach Resort and Marina is situated on the beachfront. 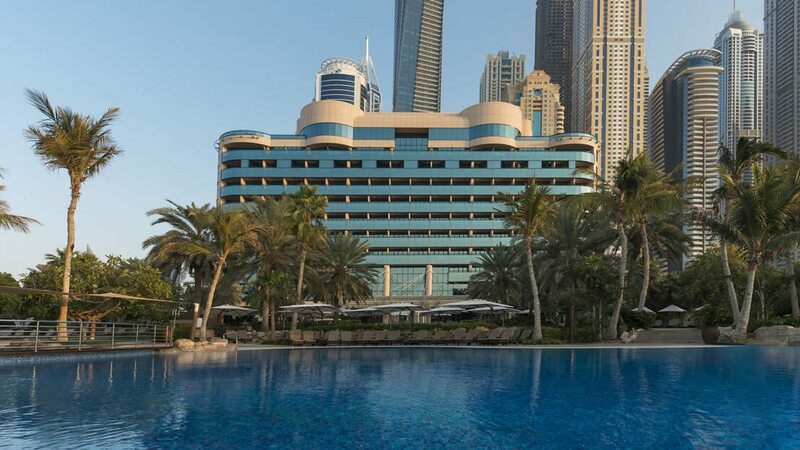 The hotel enjoys a spectacular beachfront location between the Palm Jumeirah and Dubai Marina, meaning that there is an abundance of shops, bars, restaurants and attractions nearby. Dubai International Airport is approximately 31km away from the Le Meridien Mina Seyahi Beach Resort and Marina.